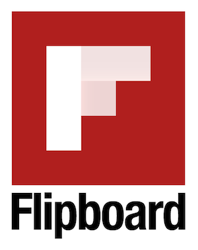 Home » Content Marketing » The Flipboard Effect: What If They Never See Our Content? It took Google thirteen years to fill the online marketplace with search-friendly customers and web-enabled vendors. Today, blogging, social sharing and marketing automation are filling the marketplace with content. And most of it is crap. In response, your buyers are starting to use personal media sifting / curation apps like Flipboard and Apple News to filter all the crap out of their media streams. Then, they share only the best with others. What is your strategy for dealing with this shift in buyer behavior? During the past five years, content marketing has become a respected field in marketing. The Content Marketing Institute reports that over half of marketers will increase their content marketing budgets this year. eMarketer lists content marketing as the top digital marketing priority for the past few years. The adoption of content as a marketing tool is a big reason that marketing automation vendors like Hubspot, Demandforce, Marketo and Eloqua (now Oracle) are growing like weeds. All of a sudden, it seems that companies of all stripes are hungry to learn content publishing, targeting and distribution practices. To create and market timely, quality content in a coordinated fashion across multiple digital channels including email, web, mobile and social. So customers find them, instead of the other way around. Google started all of this when they launched PageRank and created the first content marketing industry: Search Engine Marketing. For the first time ever in a public setting, Google offered a convenient way to both find the content we need and to market our content (website) to those who need it. Today, Google understands and benefits greatly from the shift in behavior they enabled. Google also knows that content marketing and social media are tightly linked during branding, shopping and research activities. This is why they continue to tweak their page rank algorithms to prioritize high-quality content that is frequently shared by others. The Penguin release in April, 2012, focused on prioritizing quality content, and the Panda release started incorporating social signals into search engine rankings. Google’s adoption of social signals is huge. It forces businesses to start sharing ever-increasing amounts of high quality content in social media – or risk losing the attention of their market. I think the recent Google algorithm changes is the biggest reason every business is now scrambling to get their content/inbound marketing act together. 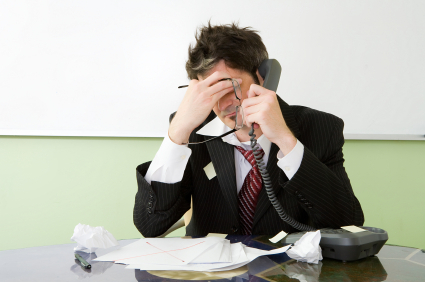 The End of Cold Calls? It is clear that buyer behavior is changing in most industries. And the pace of change seems to be accelerating. In our personal quest for economic independence (and better deals), we all seem to be choosing to rely more and more on web sites, search engines and social networks to guide our decision making. Ask any B2B marketing or sales professional, and they will tell you that an increasing number of prospects are ignoring sales calls in favor of researching their options online. Ask any consumer brand marketer, and they will tell you about the declining effectiveness of traditional media and direct mail. Now, this isn’t necessarily a bad thing for people who hate cold calls (on either side). To meet the demand for more efficient content marketing, over 20 marketing automation vendors including, Marketo, Hubspot, Eloqua and DemandForce now offer sophisticated platforms that help companies of all sizes manage email interactions, publish and track content and manage social media marketing in an integrated fashion. Their common business purpose is to help marketers create and distribute high-quality content to the right audience at the right time, with lead capture features and metrics for every step in the conversion process. But, as VentureBeat recently explained, there is a dark side to marketing automation: by making it easier for more companies to publish more content more frequently, every potential customer now now must sift through a LOT more content in social streams and in search engine results. Due to the content-sharing behavior that buttresses most social networks, it’s only natural that social media marketing, content marketing and marketing automation are all joined at the hip. Today, most marketers know that if you’ve published good quality content on your website or blog, then you ought to be sharing it in social media as much as possible. But marketing content to search engines is quite different than marketing content in social media. Search engines wait for someone to ask them a question; social media streams are endless rivers of content that flow fast. Keeping your message in front of a socially-active audience takes a lot of timing and publishing skill – and reams of fresh content. In other words, social sharing has increased the content marketing challenge by at least one order of magnitude. Harvard Business Review has even piled on, to remind us that Marketers Are Not Publishing Enough Content. Marketo, Eloqua and Hubspot offer social media publishing and content sharing features. Most marketing automation tools offer social network/account integration features like follow-me buttons in emails, one-click publishing of content to social networks and traffic analytics for social media posts. How Much Content Can We Take? Using marketing automation and content marketing technologies, now any business can be both a publisher and a distributor of content in multiple channels. In social networks, a single piece of content can get shared 100s of times a day. But: in a world where personal attention is limited – and the volume of content is exploding – how does one compete? Velocity Partners recently published a humorous but spot-on analysis of where we are headed next in content marketing. It paints a picture of a market FLOODED WITH CONTENT, where only the absolute best will attract attention. The rest will be white noise. If you want confirmation of this, take a look at what the most successful social media brands are doing today. Red Bull is creating 100-200 tweets per day. It’s a leading indicator of where brands have to go. I’m fine with the newsroom metaphor [for brand marketing] if it leads us to brands creating more relevant content. But here’s the rub for most marketers: not everyone can create high quality content all the time. Not everyone can be the life of the party. Fast-forward this trend a few years, and it becomes clear that there will be waayyy more content flying past our eyes than we’ll ever have time to consume. The implication of this crappy content conundrum is easy to see. The long-term challenge for marketers is not to publish great content. The real challenge is on the demand side: how will we get our content through personal media filters? In other words, you can push all the great content you want onto the web and out to customers via email, but if people aren’t searching the web or checking their emails for fresh content any more, it’s not doing you much good. And this is exactly what’s happening. The competition for who gets to filter media for our consumption is fierce. Over the past 100 years, responsibility for filtering & curating the media we consume has moved all the way from the supply side to the demand side of the media supply chain. Control over media has moved from authors; to publishing conglomerates, distributors & retailers (Amazon & Comcast); and, to digital media aggregators (Huffington Post and Netflix). Most recently, control has begun shifting to social networks (Facebook). If we actually saw all of the content shared with us by our friends and the Likes we have access to on Facebook, we would quickly be overwhelmed by our Newsfeed. So, Facebook uses EdgeRank to throttle the messages we receive from our friends. On Twitter, power users receive thousands of tweets an hour in their stream. So they rely on tools like HootSuite and NeedTagger to filter the fire hose for signal. To try and retain their position as media curators for their users, Twitter, Google+ and Facebook continue to re-design their interfaces to provide a more efficient media consumption experience. Today, the consumer is assuming control. The widespread availability of personal media curation apps like Pinterest, Tumblr and Flipboard are making it easy for your prospects and customers to filter and curate their own media streams. Why go to ANY website for your content, when you can carry a media curation app around in your pocket? Given the extraordinarily fast rise in users of these apps, it seems pretty clear that people like controlling what they read. (Full Disclosure: I am an early angel investor in Flipboard). In 2013, Flipboard’s 2.0 release upped the game as a mobile-friendly way for people to filter (curate) any type of content, then share what they like best back to their personal networks (ie, stronger social signals). Using Flipboard, I follow people I trust and subscribe to topical magazines published by other people to get all of the content I need – music, video, photos, short form and long form content, whatever. I can even shop on Flipboard, using user-curated collections of interesting products. Personal curation platforms are booming as a category. Twitter (300 mm users in 10 yrs), Flipboard (100 mm users in 6 yrs), Pinterest (80 mm in 6 yrs) and Tumblr are redefining how people find and consume content in all its forms. This shift in behavior is occurring really quickly, too. Perhaps most ominous is the fact that Google is clearly trying to eliminate the need for people to search for content (at all). 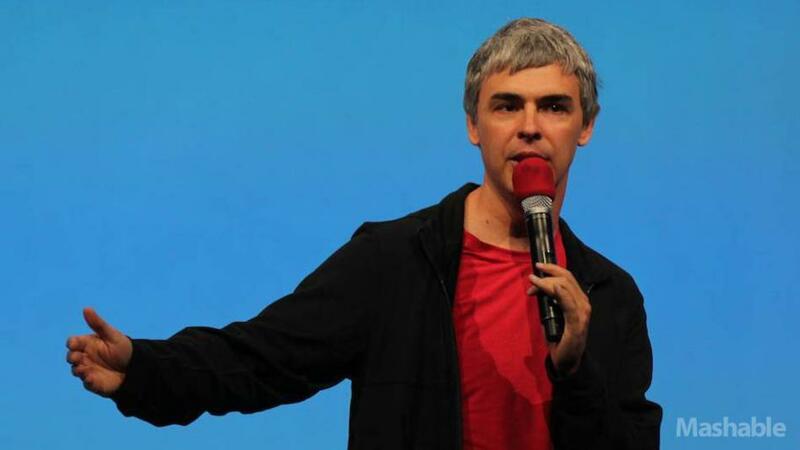 As evidence, check out Google’s announcements at I/O 2013. Google is clearly working hard to enable consumer experiences that are best described as serendipitous (one term for this type of technology is ambient intelligence). Google expects us to all rely upon a select few web services who know what we want to deliver important content and information to us, when we need it. Without forcing us to search or ask for it. Features like this are already embedded in many of Google’s strategy platforms such as G+, Google Glass, Google Now, etc. 1. Become Influential Content Curators: build strong in-house content curation (not just publishing) skills, so you can publish the Flipboard magazines and Pinterest Boards your target market wants to follow. 2. Customer Acquisition (Digital Direct Marketing): get very good at mining web apps, personal curation platforms and social networks for customers. This means getting really good at data mining (identifying prospects you want to target), maintaining an active presence on every network that matters to your business; and, buying native ads on the apps and networks your customers use most. 3. Real-Time Marketing Optimization: you must ensure that you rank high in the search-like web services that your target customers rely on for real time/personalized recommendations – services such as Google Now or anything built on top of Google Search, for example. Many of the principles of SEO will remain sound (great quality content, domain authority, etc.). But traditional SEO will no longer be enough. You are going to have to get to know each web service and social network on an intimate basis, and you’ll have to optimize each according to your unique requirements. TAKEAWAY: The age of personal media filtering apps has arrived. What is your strategy for dealing with this change in buyer behavior?